I came across your post this afternoon while browsing interior design blogs and your take on on this brilliant kitchen is inspiring.To make this kitchen an even more inviting place, with privacy factored in, window treatments can help greatly. Thank you for writing and as a special thanks to you and your readers, I would like to offer a 20% off coupon using this code upon checkout: BLG20. Such a beautiful view. The kitchen is such a neglected area in many homes and usually designed for functionality. Great to see a kitched getting as much attention as any other room. I love this decoration.so natural environment. 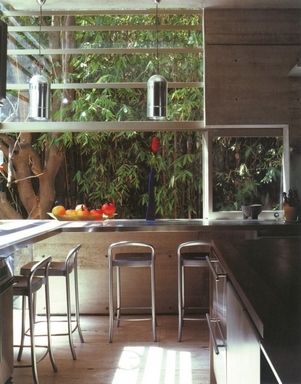 An outstanding decoration of a kitchen with a garden view. Really a great idea to enjoy the cooking time.